This recently discovered photograph shows the second Concord Town Hall, established in 1887. 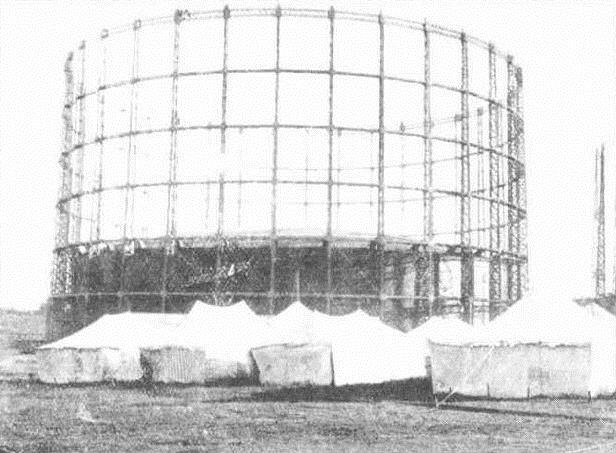 It stood on the corner of Wharf Road (now Burwood Road) and Burton Street. Extended numerous times, it was replaced by a new council chambers on the corner of Flavelle and Wellbank Streets which opened on 9 June 1962. This site is now occupied by a service station. In the background is Lansdowne House, formerly Ardnaree, built for Emmanuel Neich in about 1853. Neich was the founder of the Bath Arms hotel which stands nearby in Parramatta Road. This year marks the 75th anniversaries of the Kokoda campaign during the Second World War. The Kokoda Campaign, from July 1942 to early 1943, involved Australian troops in a desperate and vicious fight in the Owen Stanley Range and on the beaches of northern Papua to stop the advance of Japanese forces. The anniversary has a special resonance for the City of Canada Bay through the Kokoda Track Memorial Walkway. This beautiful memorial takes the form of an 800 metre rainforest walk which links Concord Repatriation General Hospital, where many Second World War veterans were nursed back to health, and Rhodes Railway Station. 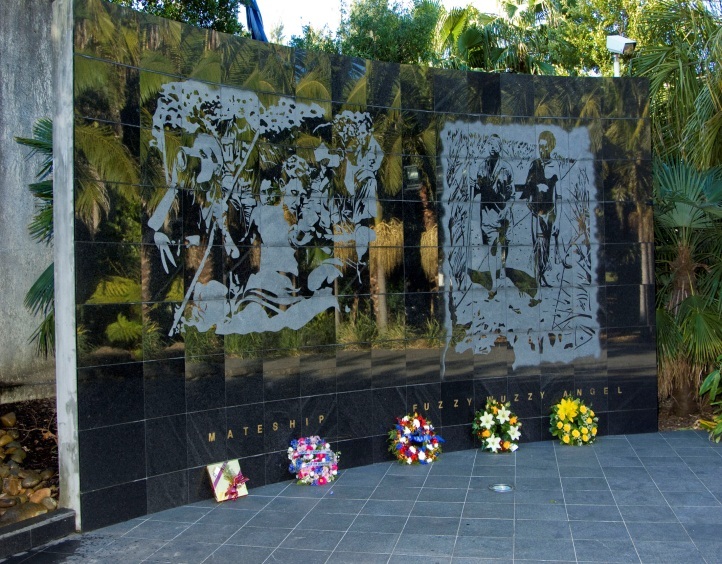 A series of 22 stations along the walkway highlight places of significance in the New Guinea campaign and pays tribute to the tremendous sacrifice made by Australian soldiers. The Australian War Memorial will mark the Kokoda Campaign with a special Last Post ceremony on 2 November 2017. The first large scale flower show to be held in Inner West Sydney will be happening this month with the inaugural Rivendell Flower Show. The event will be held in the beautiful grounds of Rivendell, formerly known as the Thomas Walker Convalescent Hospital, and will bring together displays by floral designers and gardening personalities, along with a range of other activities celebrating the pleasures of gardening. The Rivendell Flower Show will be held over two days, 23 to 24 September 2017. All funds raised by the event will go towards Concord Hospital’s Department of Geriatric Medicine for the establishment of a gymnasium for the Strong@Concord program. 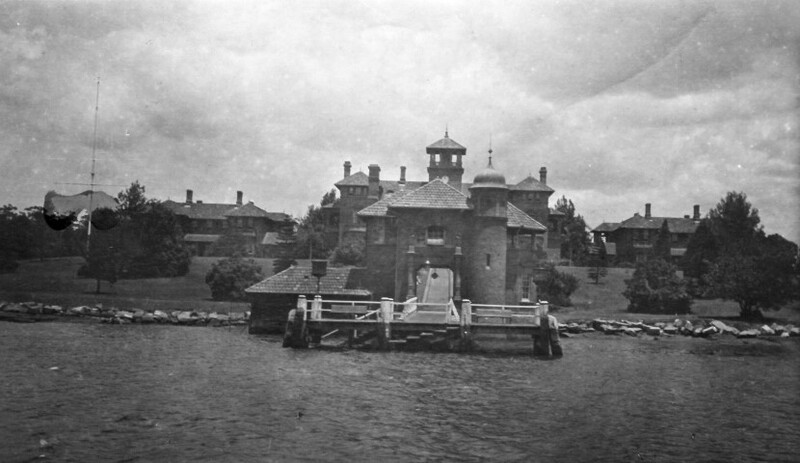 The photograph, above, shows the Thomas Walker Convalescent Hospital in 1911. 1917 saw widespread industrial unrest, beginning in Sydney and spreading across NSW, culminating in a General Strike. The initial trigger for the strike was the introduction of a new labour costing system by the New South Wales Department of Railways and Tramways which led to workers walking off the job at Randwick Workshops and Eveleigh Carriage Works in August 1917. Discontent spread to other industries as wages had not kept pace with increasing prices during the First World War. On the 3 September 1917, some 600 AGL (Australian Gas Light Company) workers at Mortlake went on strike. To keep vital gas services operating, positions at the gas works were filled by volunteers, referred to as ‘Loyalists’ by some and less pleasant names by others. The photograph, above, shows the tents of volunteers at AGL, from ‘Everyday scenes at Mortlake Gas Works’ published in the Sydney Mail. The Gas Workers returned to work on 17 September 1917. A glimpse into local soccer history is provided by a recent donation to the Local Studies collection. The Soccer Football coaching manual and handbook, 1947-8 has extensive notes on playing soccer along with background on the Concord and District Soccer Football Club. The Club was established in 1924 with matches being played at Central Park. In 1933 games commenced at the newly constructed Edwards Park at Brewer Street, Concord. 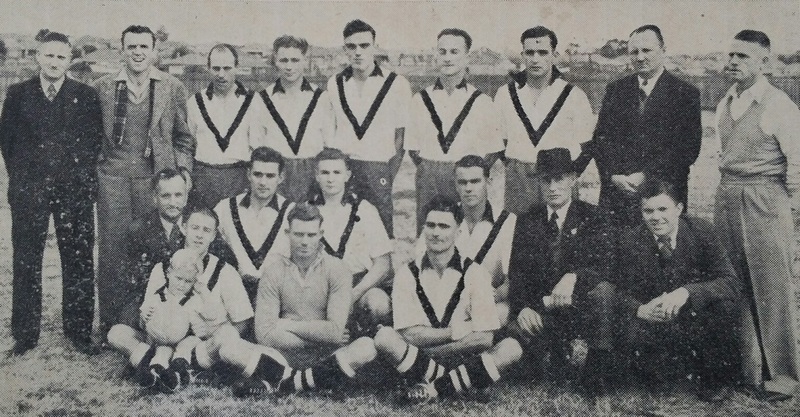 The photograph, from the handbook, shows the Concord and District Soccer Football team which were Metropolitan 1st Grade Premiers in 1947. Back row (left to right): A Forrester (Selector), Dan Abercrombie, John Allen, Ron Hawkshaw, Jim Neil, Sid Bachell, Albert Knowlson, J. Downham (Selector), J. 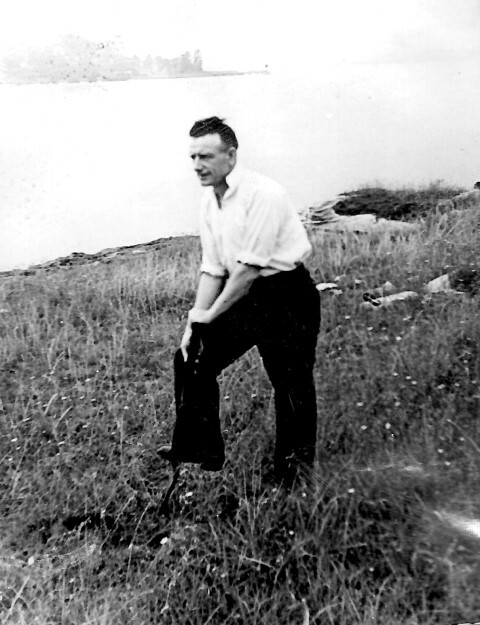 Brown (Trainer). Middle row, kneeling: John Morton (President), Ken Knowlson, Jim Geekie, Ken Irving, Herbert L. Gilmour (Vice-President), Keith Gilmour (Honorary Secretary) Front row, sitting: Frank Norton (Captain) Brian Norton (Mascot), Bill Johnson (Goalkeeper), Terry Wakeham. The handbook belonged to Helge Wesenlund, a Norwegian immigrant to Australia, who was active in Association Soccer in the 1950s. He was a coach for North Shore Soccer Club and was one of the founders of the North Ryde Boomerang Club for visiting ships crews. The handbook was kindly donated to Local Studies by his son. After almost 75 years of service in the area of early childhood services, the old Concord Baby Health Centre at the corner of Clermont Avenue and Wellbank Street is to become the home of the Drummoyne Art Society and will be known as gallery57. The Concord Baby Health Centre was the first baby health centre to be opened in the metropolitan area in 1943. 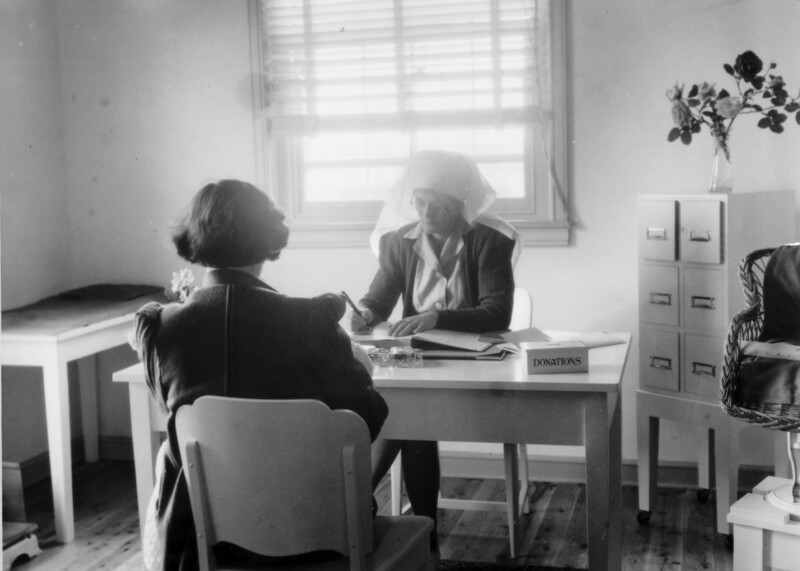 Despite the contingencies of war, the centre provided an important service for mothers and children. It not only monitored the health of young children but provided advice for mothers on all aspects of care for babies and pre-schoolers, including advice on suitable toys. A notable feature of the Concord Baby Health Centre was a mural by children’s writer and artist Pixie O’Harris who also decorated children’s hospital wards. Below is a figure from the mural which was fully restored in 1993. The new gallery57 will open on 2 September 2017, ensuring this now historic building continues to play an important role in the community. This year’s History Week will be marked with a special talk on May Gibbs in Popular Culture by Alison Wishart at Five Dock Library. May Gibbs is one of Australia’s most popular and enduring children’s book authors and illustrators. Her picture books have delighted successive generations for over 100 years. She drew her inspiration from her childhood spent visiting the bush south of Perth, and later from her large garden in Sydney’s Neutral Bay and bush walks in the Blue Mountains. An early environmentalist, she urged her readers to ‘be kind to bush creatures’. This illustrated talk will examine the enduring influence of Gibbs’ artwork and books, her charitable work and how she built her career. The talk will be at Five Dock Library on Wednesday, 6 September 2017 at 7pm and is free, although are essential. The talk is proudly presented as part of the History Council of NSW’s Speaker Connect program for History Week 2017 and supported by Create NSW. 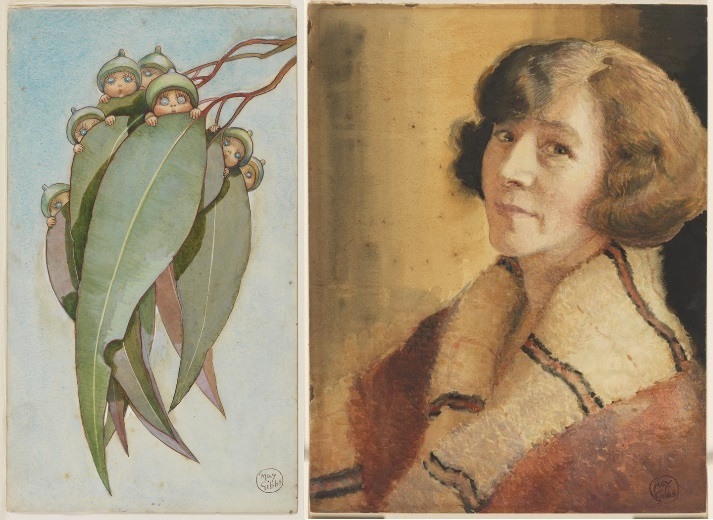 The images, above, show an illustration from Gumnut Babies by May Gibbs, 1916 (left) and ‘Souriante’ a self-portrait by May Gibbs, 1923. 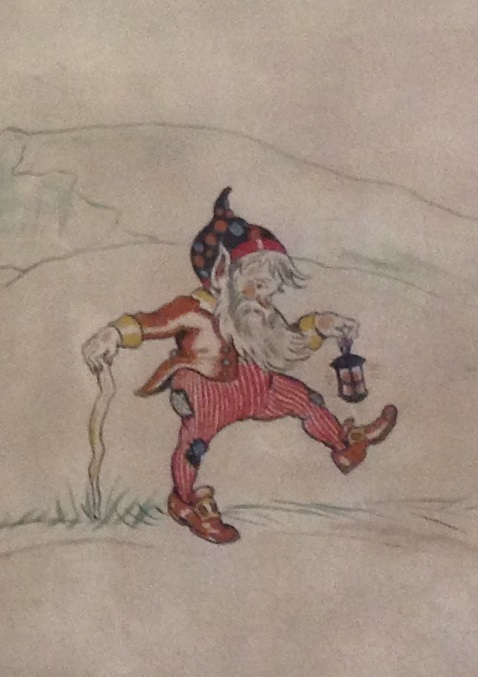 Images are from the May Gibbs Archive, State Library of NSW © The Northcott Society and Cerebral Palsy Alliance. A highlight of History Week at the City of Canada Bay Museum will be the unveiling of a recently restored historic map of Concord. The map was restored through grants received from the City of Canada Bay. The Mayor, Helen McCaffrey, will unveil the map which was originally produced by Higinbotham & Robinson in 1890. The Municipality of Concord had only been formed in 1883, so the highly detailed map provides a window into Concord at that period. Following the unveiling, the Local Studies Librarian will speak about the Concord community of the late nineteenth century as revealed by the map. The unveiling and talk will be at City of Canada Bay Museum on Saturday, 2 September 2017 at 1.30pm for 2pm start. 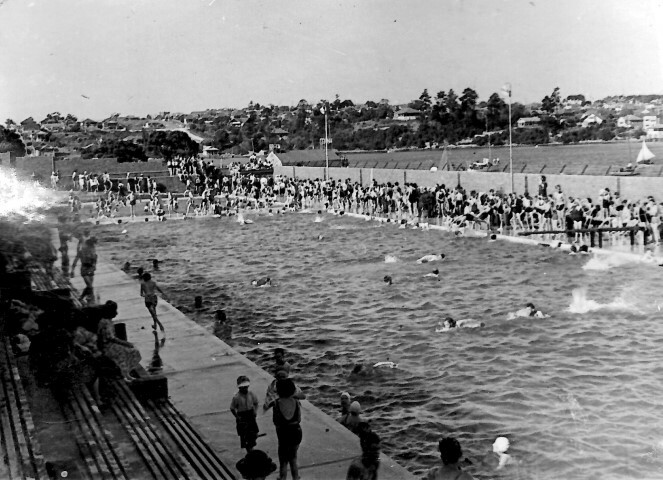 The establishment of Correy’s Pleasure Gardens in the 1880s made Cabarita a special picnic destination for Sydney-siders in the nineteenth century. ‘This beautiful spot is a favourite picnic ground for the residents of Sydney, who are justly proud of the magnificent scenery that is to be found in the vicinity of their city. The journey to Parramatta by rail is an agreeable one, affording ample variety of scenery to amuse the traveller, but the trip up the river by steamer forms one of the most delightful water excursions that any city can boast of. As the steamer proceeds on its way some pretty suburbs are touched at. 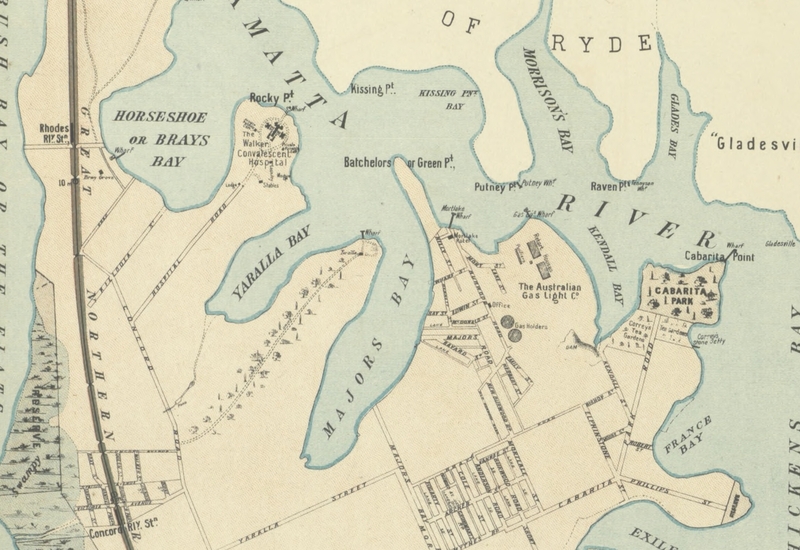 Passing Drummoyne and Hunter’s Hill the green covered banks on either side disclose to the visitor a constant succession of beautiful scenes, and the windings of the river as they are followed bring into view at every turn some new charm to delight the eye. 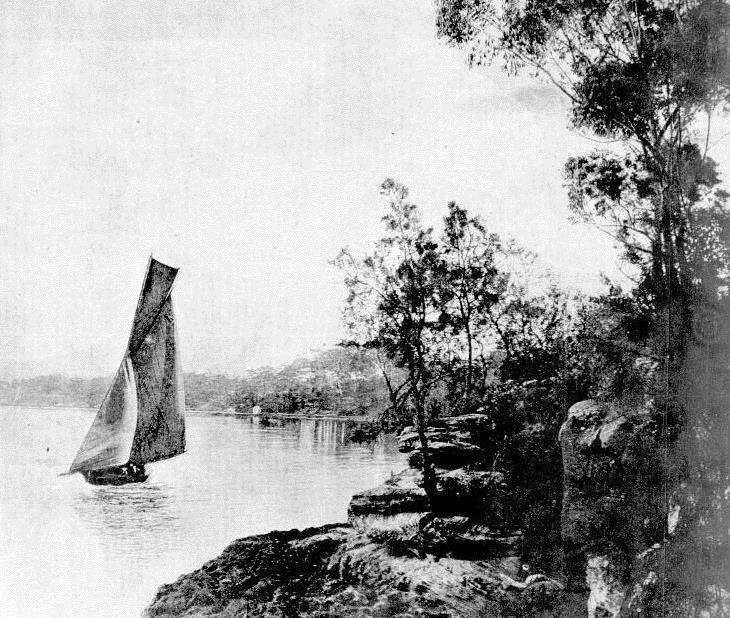 A little way beyond Gladesville, but on the opposite bank, Cabarita Point, the spot depicted in our illustration, is situated.